Lunch in Vientiane, Laos with Tam Maak Hoong (Lao Green Papaya Salad) and Som Moo (Soured Pork Sausage). 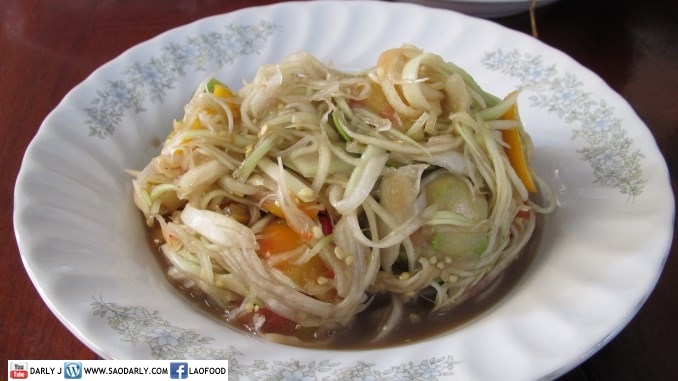 It might be a boring meal to some people, but I love to eat Lao Green Papaya Salad and can eat it daily. 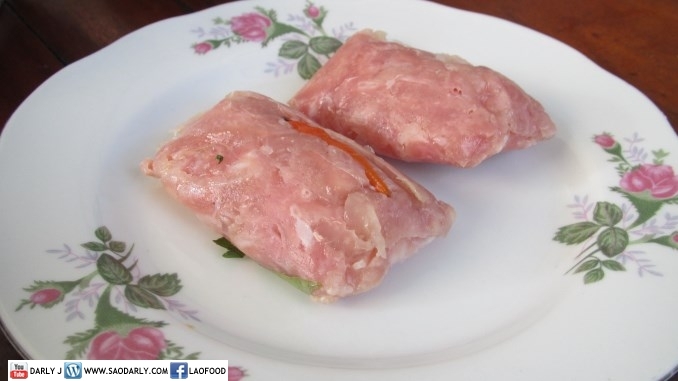 Whenever I am in Laos, that’s pretty much what I do, eating Tam Maak Hoong sometimes twice a day!